Marrying the graphic skills of bestselling author Francis D.K. 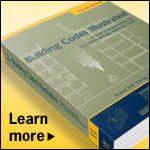 Ching with the code expertise of Steven R. Winkel, this is an easy-to-use, updated illustrated guide to the 2012 edition of the International Building Code. Focusing on the code sections most relevant to designers, the book features nearly 900 illustrations. Whenever he can he likes to fly himself, be it in his private jet, or in a helicopter. Norman Foster loves flying and he must love it. He is constantly on his way to Moscow, Abu Dhabi, Beijing or to one of the many other cities in which he is planning and building his numerous projects. 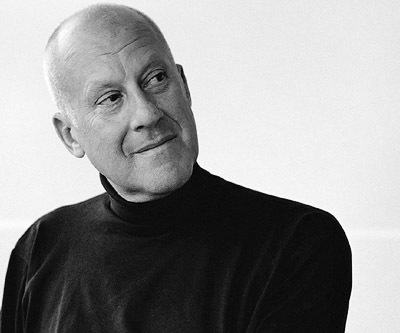 Born in 1935, Norman Foster has been in the business for over 40 years. He's built many records, the biggest, longest and most expensive buildings of the world, won all the important architectural prizes and awards, and even acquired a peerage – and yet his fame is still growing. He wrote architectural history with an office building in Ipswich and an airport in Stansted early on in his career. 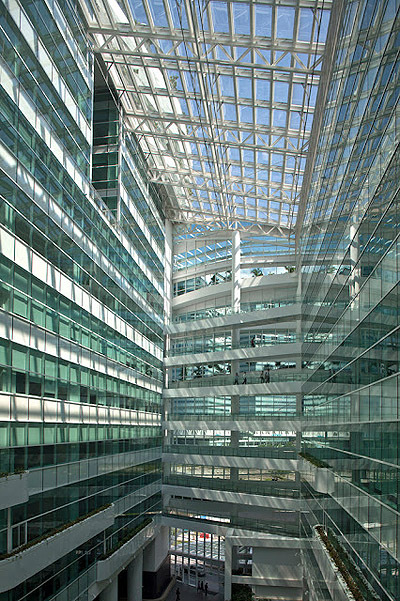 Many office buildings and airports worldwide are built according to ideas he first formulated. Foster has also chivvied ecological building along, for example with the Commerzbank Headquarters in Frankfurt and the rebuilding of the Reichstag in Berlin. But all that looks almost modest in comparison with the projects he and his firm are working on today. Gigantic high-rise buildings are in prospect, whole towns have been commissioned from him, and the Foster architectural machine seems to whirl along faster and faster. But when we finally meet in a hotel garden beside Lake Geneva, with the sky summery blue, children splashing about in the pool, all the hectic pace drops away. He looks as if he were on holiday by the sea, white trousers, white polo shirt, a pink belt and orange moccasins – even though he's just come from the office. He works a lot down here in Switzerland now. His home is here, and so is his young family. Lord Foster, can I start with a naive question? If I one day had a notion to build myself a little house in Hamburg, maybe four rooms, 140 square meters (1,500 square feet), could I telephone you and ask your firm to do it? (laughs) That's not naive, that's a difficult question. Underfloor Air Distribution (UFAD) is a method of air conditioning the space by supplying the air from the floor, using natural buoyancy forces to lift it to the ceiling, as opposed to the conventional systems, which supply air from the ceiling down to the occupants, working against the natural forces of buoyancy. The advantages of the system include energy efficiency, thermal comfort, individual occupant control, flexibility for frequent office restructuring, better indoor air quality, and lower costs for churn fit-out. 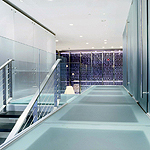 UFAD technology uses an air plenum under the floor to supply air from floor air outlets. 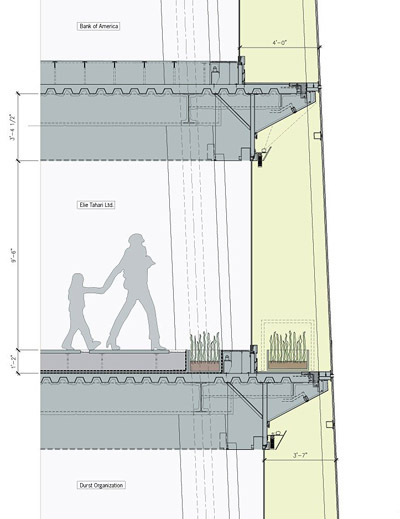 An air plenum is made between the floor and the structural slab. 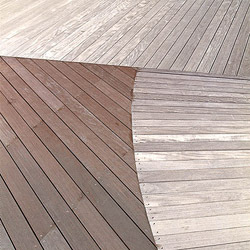 This requires a raised floor plenum of sufficient depth to transport the air from the supply source to the air outlets. The plenum space is easily accessible and provides the same level of access as a two-foot-by-two-foot (60-centimeter-by-60-centimeter) ceiling tile — without the necessity of climbing a ladder. 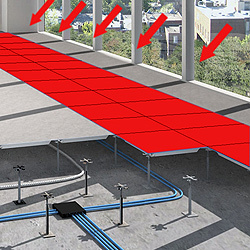 The space under the raised floor, primarily created for air flow, is also used for the distribution of other services, such as electrical power wiring, telephone and information technology cabling, security cabling, and fire alarms. 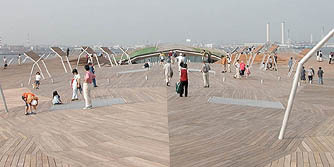 The use of a raised-floor plenum for other services makes the system flexible to modifications, due to ease of access. Given the dependence of business on computers, networks, VOIP, and so on, and the fast-paced changes in technology, the demand for flexibility in data cabling is ever increasing. The environmental and energy benefits come from the operating temperatures, which are much higher (in cooling applications) than in conventional systems. The combination of environmental and energy benefits with flexibility is the main reason for the growing popularity of the systems. 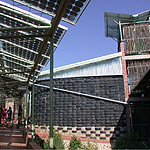 The technology is not new to buildings; from the 1950s on, it has been used in data centers or computer rooms. The driver then was flexible cable management and efficient cooling of high heat loads. Today the drivers are: energy conservation, the environment, and flexibility in managing other building services. 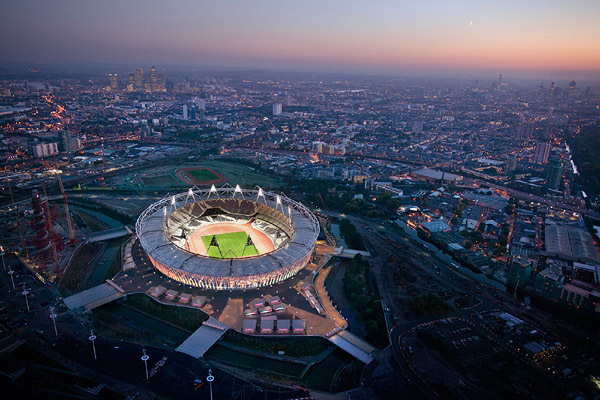 "The innovative flexible design of the Olympic Stadium means its 80,000 capacity can be reduced after the Games. It has a permanent lower tier with a capacity of 25,000, and a temporary steel and concrete upper tier, which holds a further 55,000 spectators, that can be dismantled after the Games. "Amenities such as catering and toilets, normally found inside sports stadia, have been located in temporary facilities around the outside of the Stadium. Facilities for athletes within the Stadium include changing rooms, medical support facilities and a 60m warm-up track. Builder: Sir Robert McAlpine Ltd. The Royal Institute of British Architects has announced the shortlist for the 2012 RIBA Lubetkin Prize, an award given to the best new international building located outside the European Union, designed by a RIBA member firm. The winner of the RIBA Lubetkin Prize will be announced on the evening of Saturday 13 October at a special event in Manchester (UK). 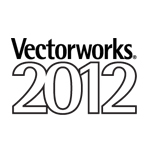 With Vectorworks® Architect 2012 software, you can create building information models without giving up the ease of design you're used to. 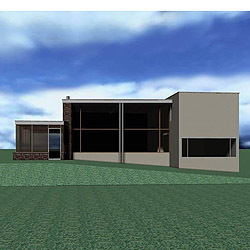 Enjoy the robust and flexible capabilities of BIM with the ease of design, great documentation, and intelligent tools that the software is known for — right from the start. What is a "Chicago Window"? What are ball drop tests? "This house in Lincoln, Massachusetts, built by the architect for his own family, is on a site that is level in front and slopes down in the back. The house is wood frame, with steel sash casement windows and vertical tongue-and-groove redwood exterior siding, without gutters or conductors. A stone-floored entry leads to a two-story, south-facing living room. From there, stairs lead down to the dining room and up to the bedrooms... "